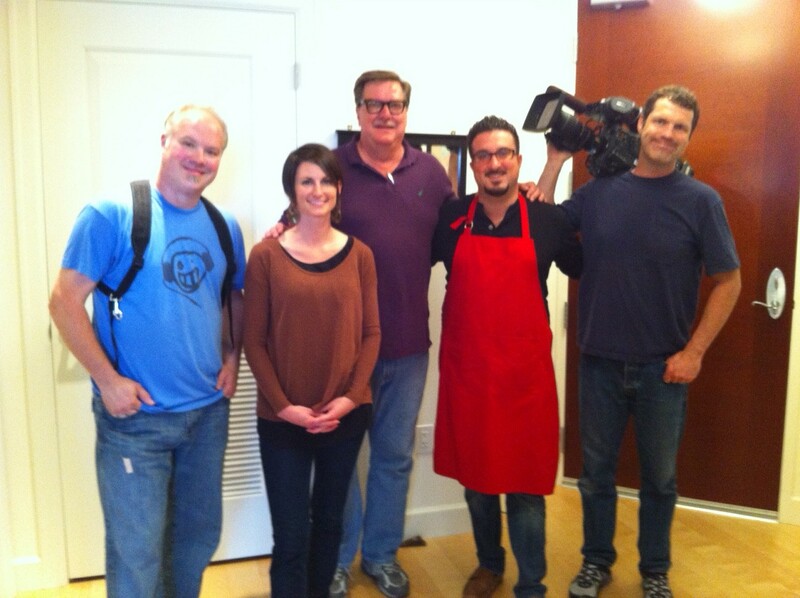 Today Ash and I finished our 5 day shoot for an upcoming episode of House Hunters Seattle. The whole experience was awesome and we can’t wait to throw a viewing party. As you probably already know…at the end of every episode the house hunting home owners have people over. In our case…we cooked for our friends. Ash and I prepared something very simple but classic. We have been getting up in the morning at 6am to get ready for the days’ shoot at 9am. Needless to say I was always hungry for breakfast, so when we wrapped our 5th day I knew I was preparing eggs. During one of the shoots we shopped at BB-Ranch and Franks Produce in Pike Place market. We bought smoked bacon at BB ranch, fresh mushrooms and chives at Franks. To make the RIGHT kind of scrambled eggs…you have to melt butter while stirring the eggs. Ash prepared the bacon into bits. 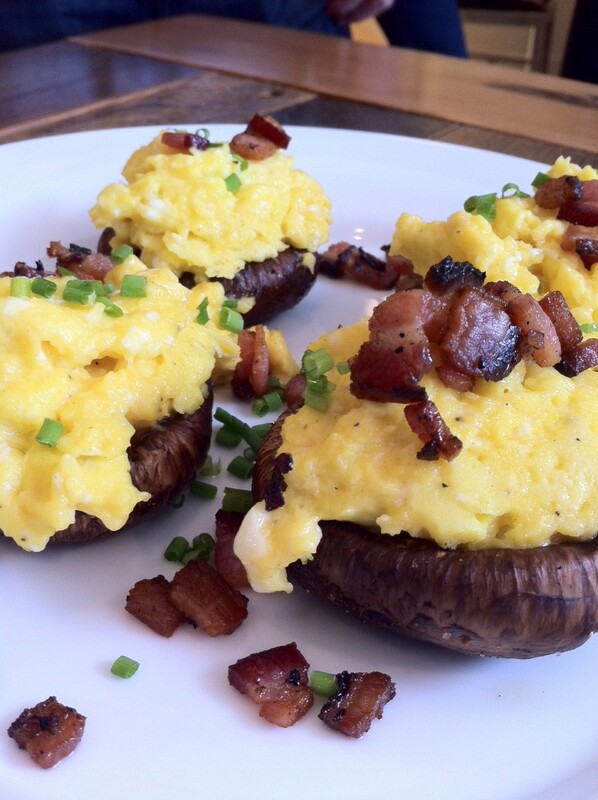 Scrambled eggs stuffed mushrooms with bacon bits and chives. That is so cool. You’ll have to let us all know when the episode will air.